One year ago people in Gaza began holding demonstrations and being shot by the Israeli forces every week near the fence between the two territories. The medical, human and financial toll in the blockaded enclave has become unbearable as thousands of people have been left to cope with devastating wounds. Despite the efforts of the few actors on the ground, the needs vastly exceed the available capacity. The abandonment of Gaza has become complete in the last year as the more than 6,500 people shot by Israel during the course of protests have largely been left to their fates. Suffering from complex and severe wounds – mostly to the legs – many of these people are now waiting with diminishing hope for comprehensive treatment for their injuries. Searching for help in a health system ruined by more than a decade of Israeli blockade, they have also been abandoned by the different branches of the Palestinian authorities stuck in a political stalemate where the medical needs of the population fall to the bottom of the agenda. The situation in Gaza is medically, financially and humanly more than can be managed by all those present in the blockaded strip, despite the efforts of the teams of the Ministry of Health and the few other health actors involved in the response. MSF has tripled its capacity in Gaza since the beginning of 2018 but is overwhelmed by the scale of what the teams have been left to take on. These are not simple wounds that can be easily stitched up. Huge chunks of legs have been blown out and the bones within shattered. These people need repeated surgeries to just clean and close their wounds. 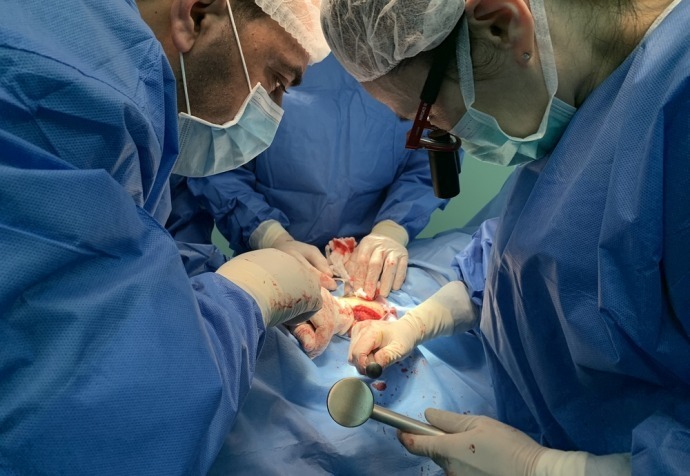 Many are infected, preventing reconstructive surgery that is in any case available only to a tiny few in Gaza. We have opened inpatient departments, added to our surgical teams and care for hundreds daily in our clinics. Yet still we lack the number of beds necessary to treat these patients as well as the amount of doctors with the expertise required to tackle resistant infections or to perform the complex surgeries to fuse bones back together. All of the authorities responsible for Gaza – on both the Israeli and Palestinian sides – have a duty to take concrete action to improve the situation in Gaza that they are not fulfilling while the fate of thousands remains in question. Adding to an already heavy toll, violence continues to occur along the fence and recent weeks have seen a further escalation of tension in the area. We are not naïve about the current political situation, but these health needs must be answered. We must also express our disappointment with the lack of action by the international community – despite our repeated calls for support. The risk is that we leave thousands to their fate: in pain, facing amputations and a lifetime of disabilities. These effects will not be confined to those shot, however, but will ripple outwards in a society already brought to the brink of collapse by the blockade. Further misery beckons for a people trapped by a series of political spats that have little to do with them.